After reviewing 29 applicants and narrowing the field to six finalists, the UK College of Design is honored to announce that Studio Gang has been selected as the National Architect for the Reynolds Building project. Along with the College, Studio Gang will be working with K. Norman Berry Associates (KNBA), who was selected as the architect of record for the project. 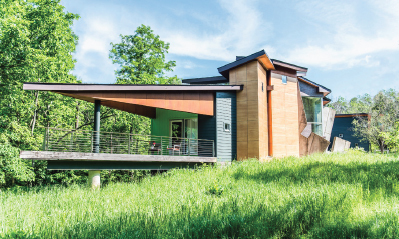 "Close to Home | Michael Koch and Associates Architects," by Dr. Gregory Luhan, presents the creative, award-winning work of Louisville architect Michael Koch, introducing readers to the simple elegance of his designs and meaningful contributions he has made to the landscape of Kentucky. 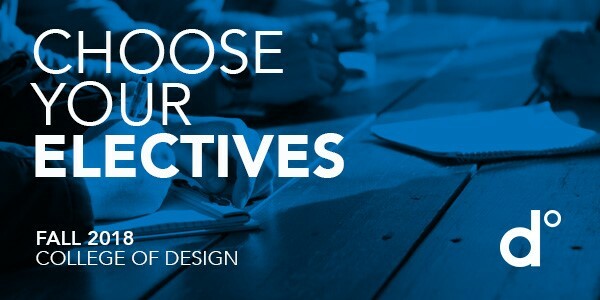 Take the online survey to share your thoughts on the firm presentations. 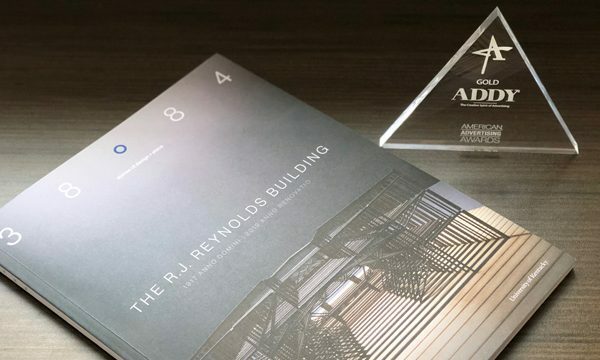 Join us as the six design firm finalists for the Reynolds Building project give presentations about their work and their thoughts on adaptive reuse. 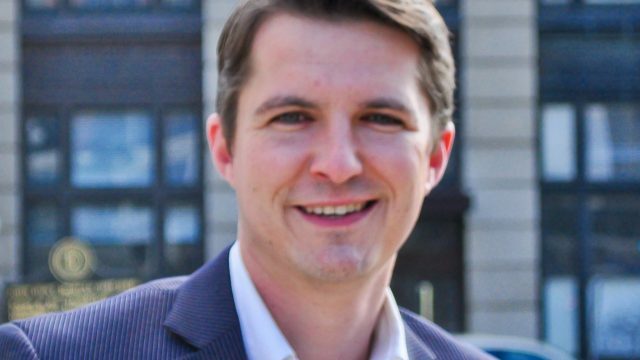 Dr. Gregory Marinic, SOI interim director and director of graduate studies, has contributed to a book launch at the Chelsea College of Arts in London. 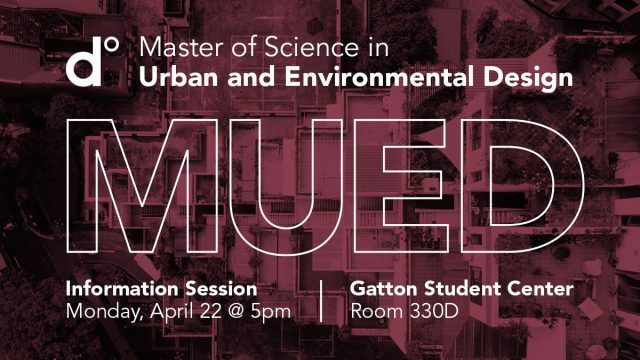 Join us for an information session about the new Master of Science in Urban and Environmental Design (MUED) program in the College of Design at the University of Kentucky. 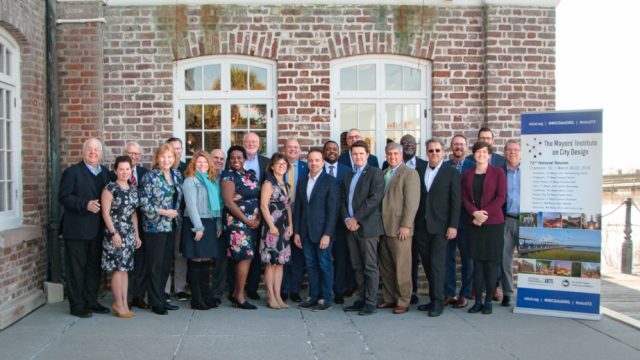 Jeff Fugate, the acting Associate Dean for Administration and Sutherland Visiting Professor at the UK College of Design, was recently invited to participate in the 72nd National Session of the Mayors’ Institute on City Design (MICD). 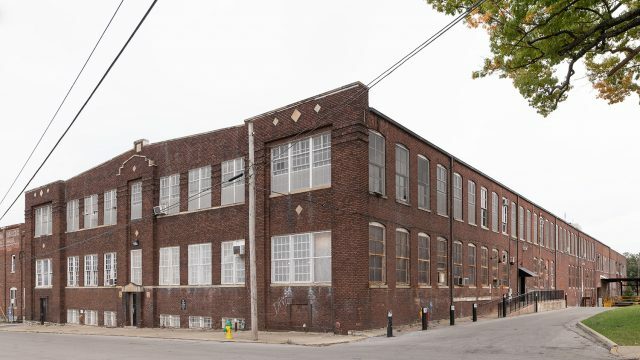 The College of Design announces the six finalists for the National Design Architect being considered for the Reynolds adaptive reuse project. 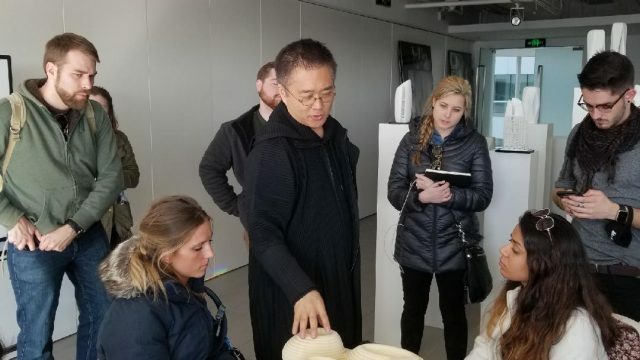 College of Design students and professors Jeffrey Johnson, Gregory Luhan, Gregory Marinic, and Rebekah Radtke visited the Beijing studio of internationally-renowned Zaha Hadid Architects. 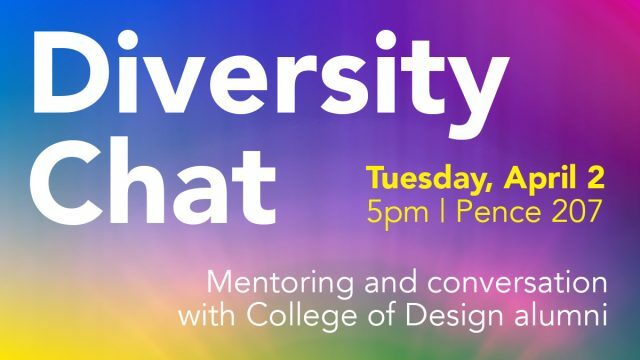 Please join College of Design students and alumni for an evening of mentoring and conversation in Pence Hall, Room 207. 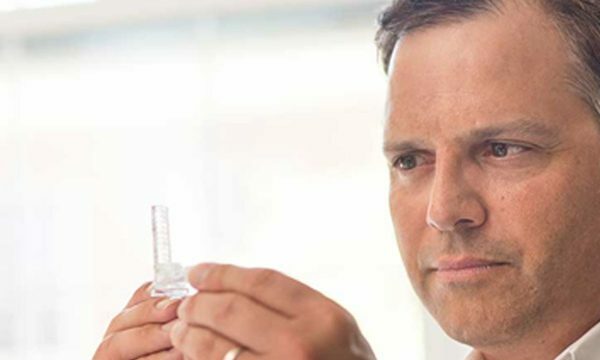 Dr. Gregory Marinic, SOI interim director and director of graduate studies, will be featured in an exhibition at the Royal College of Art in London. 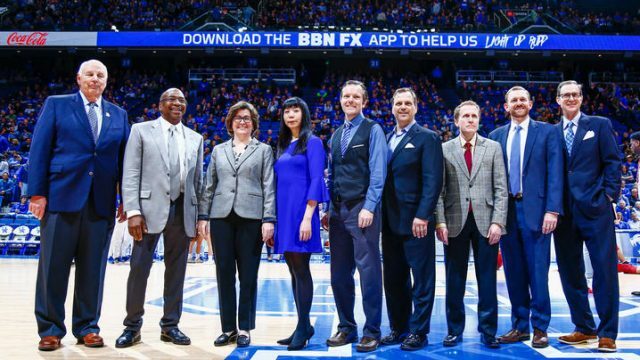 A recipient of a 2019 UK Great Teacher Award, Dr. Gregory Luhan was recently honored by the UK Alumni Association for his achievement along with the other eight honorees. 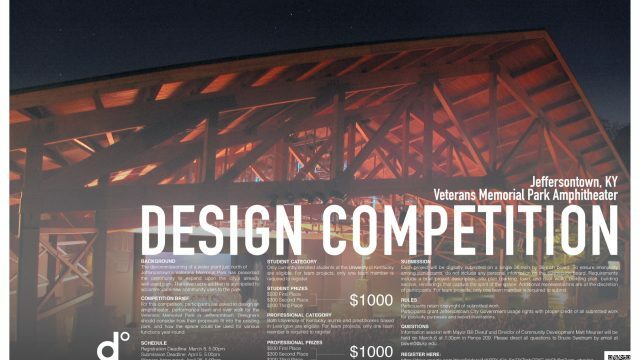 Students and professionals are invited to take part in the Veterans Memorial Park Amphitheater Design Competition. 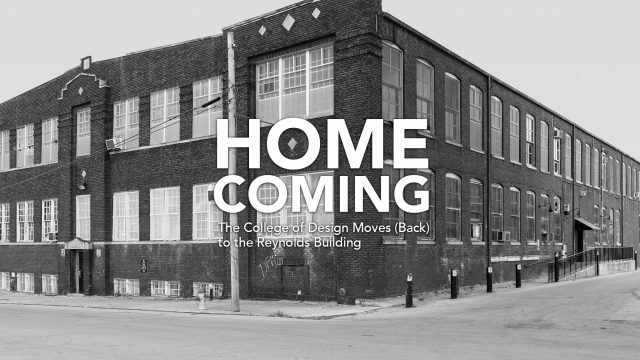 Today, the University of Kentucky Board of Trustees approved the design phase for the rehabilitation of the Reynolds Building as the future home for the College of Design. SOI Professor Joe Rey-Barreau speaks with MarketScale at the 2019 Kitchen and Bath Industry Show last week in Las Vegas. The second volume of the College's magazine, 38°84, won a Gold ADDY Award for best publication design at the 2019 ceremony on Friday, Feb. 22. 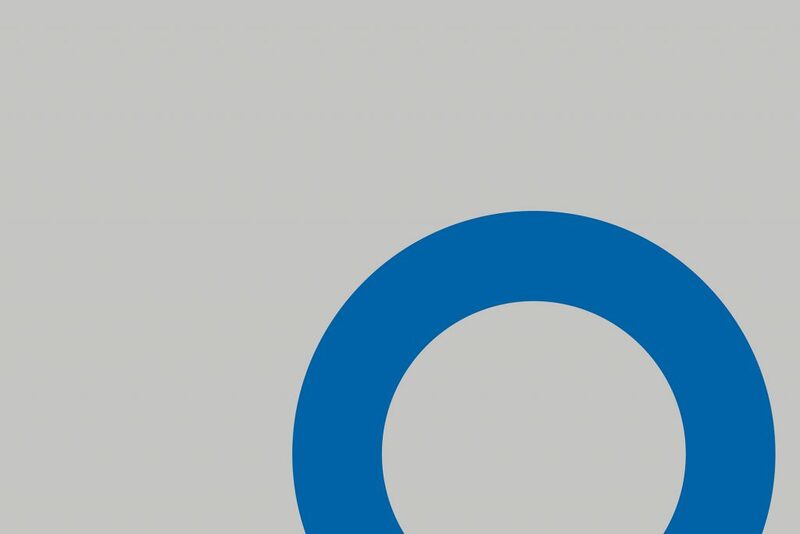 UK's Center for the Enhancement of Learning and Teaching (CELT) has published its second volume of Greater Faculties: A Review of Teaching and Learning, including an article from Patrick Lee Lucas and Helen Turner. 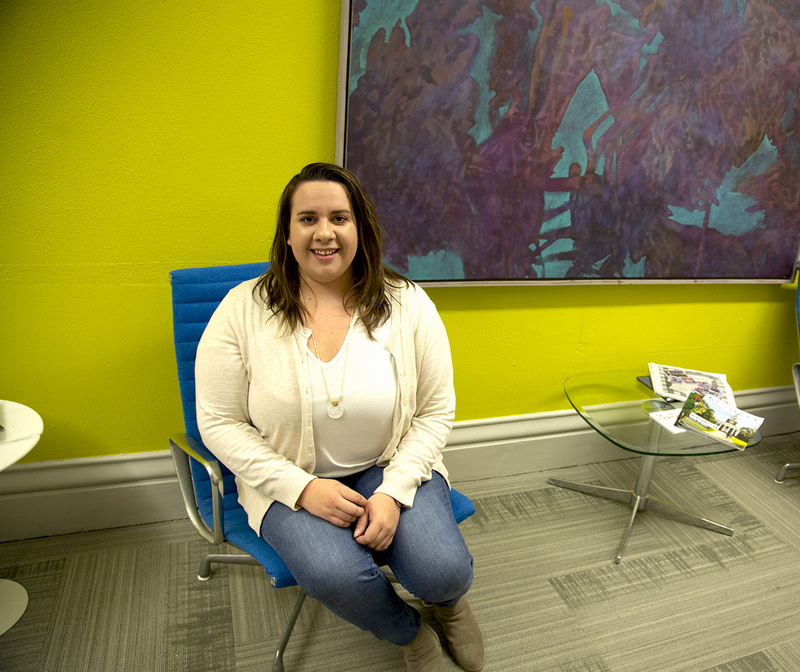 Caroline Miracle, a fourth-year student in the School of Interiors, has been selected as one of 16 students from the University of Kentucky to participate in the Posters-at-the-Capitol event this Thursday, Feb. 21 at the KY State Capitol Building. 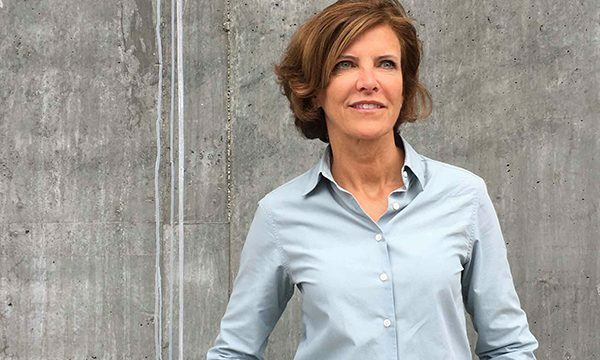 Dean Mitzi Vernon, serving her fourth year as dean, is on a mission to unify and expand the UK College of Design and its programs, preparing for the future of design education. Christina Rieth, a student in the Department of Historic Preservation, has been selected as a 2019 Preservation Action Foundation Advocacy Scholar. 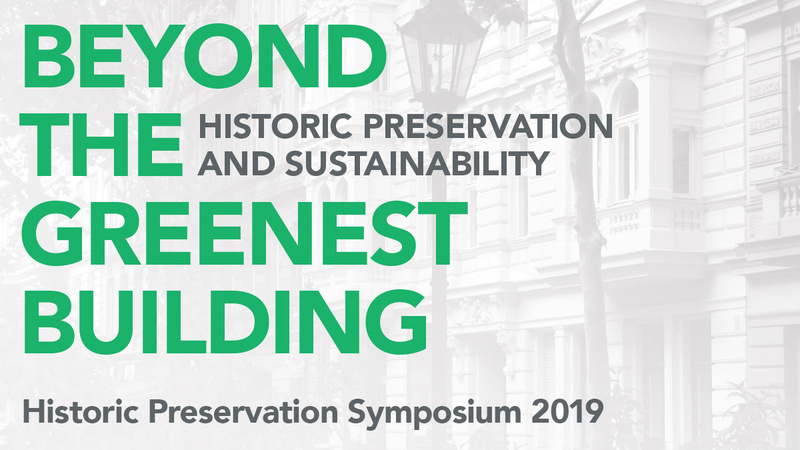 She will participate in National Historic Preservation Advocacy Week, March 11-14 at the Kimpton Hotel Palomar in Washington, D.C.
Dr. Gregory Marinic, SOI interim director and director of graduate studies, recently contributed one of 10 chapters in "Interiors Beyond Architecture." 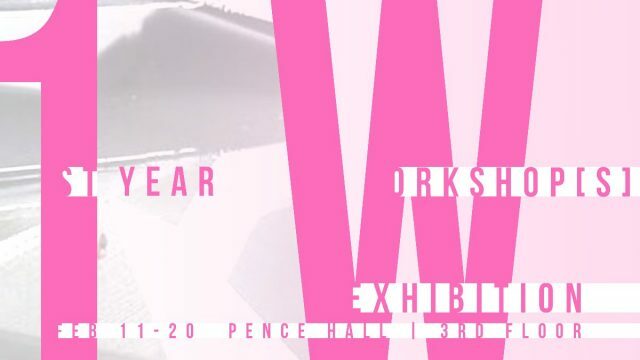 Visit the 3rd floor of Pence Hall and check out the work from the School of Architecture First-Year Workshop[s]. 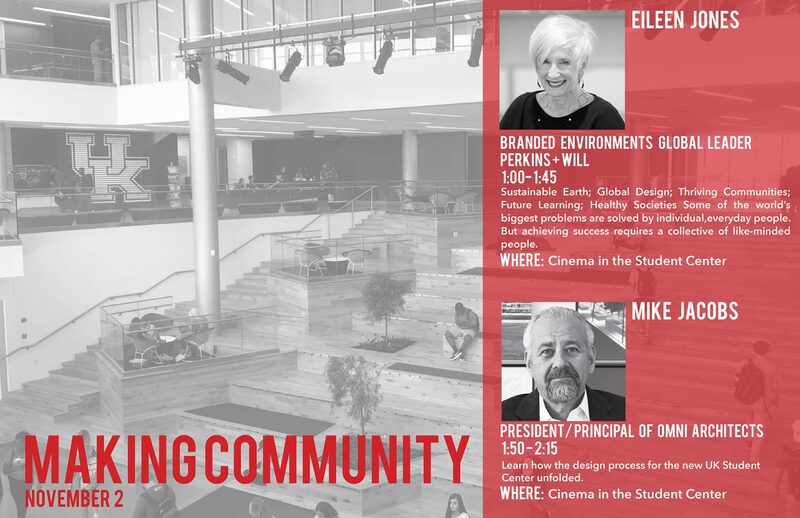 Helen Turner, Assistant Professor in the School of Interiors, and Stephanie Sickler, Assistant Professor at Florida State University, will present an accredited seminar at NeoCon in Chicago on June 12, 2019. 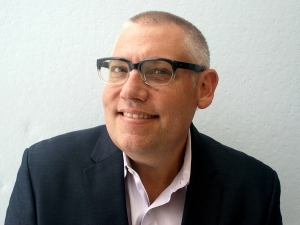 The College of Design at the University of Kentucky welcomes Jeff Fugate as the acting Associate Dean for Administration. 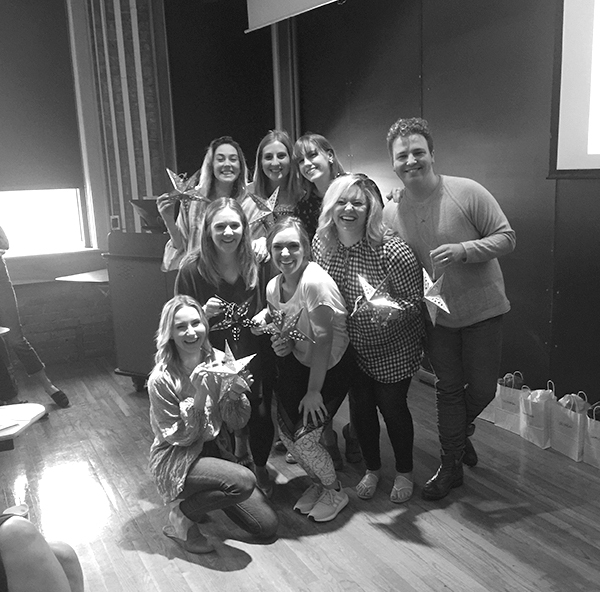 Congratulations go out to School of Interiors students Taylor Fussell, Brooke Holley and Amber Ogle who were selected as semifinalists in the ASID Student Portfolio Competition. 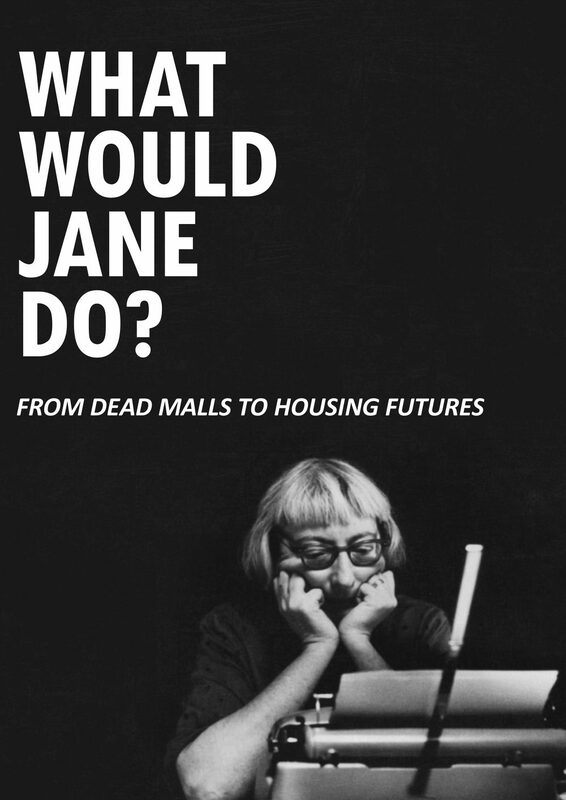 SOI Interim Director Gregory Marinic has been awarded the 2018-19 ACSA/AIA Housing Design Education Award for "What Would Jane Do?," a graduate Interiors studio project that engaged the urban theories of Jane Jacobs and retail obsolescence in the Ohio Valley as dual catalysts for housing innovation. 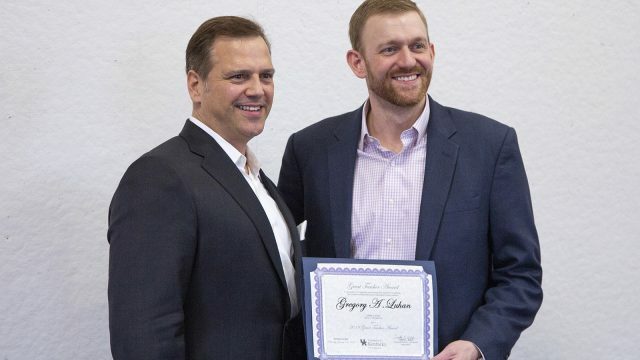 Congratulations to Dr. Gregory Luhan, the John Russell Groves Endowed Professor of Architecture, who was honored with one of UK’s 2019 Great Teacher Awards. Department of Historic Preservation Professor Doug Appler and Lauren Poole, an alum of the program, was recently featured in the Journal of Urban History. Professor Lindsey Fay was recently published in the Health Environments Research & Design Journal (HERD). 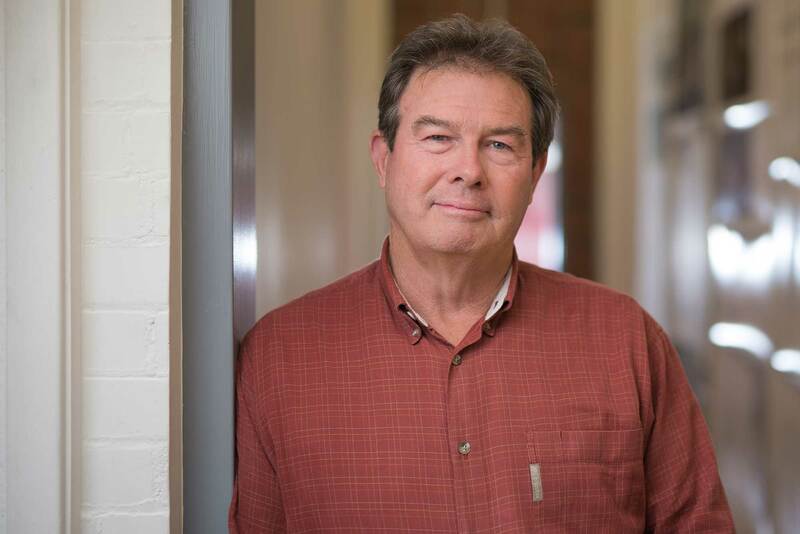 Clyde Carpenter, a professor in the School of Architecture and the Department of Historic Preservation, is featured in the Winter 2019 issue of Preservation Matters, the publication by the Blue Grass Trust for Historic Preservation. 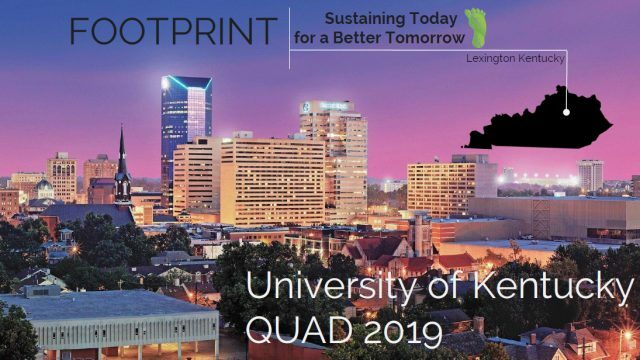 Congratulations to the professional and student winners of the ADU Design Competition, sponsored by AARP and the Lexington Fayette Urban County Government (LFUCG). Urban life can take its toll on a tree. Pollution, trenching to lay underground utility lines, soil compaction, it’s all very hard on an old tree, and the red oak tree in front of the Agricultural Sciences Building on the University of Kentucky campus had seen better days. But its story won’t end in piles of mulch. 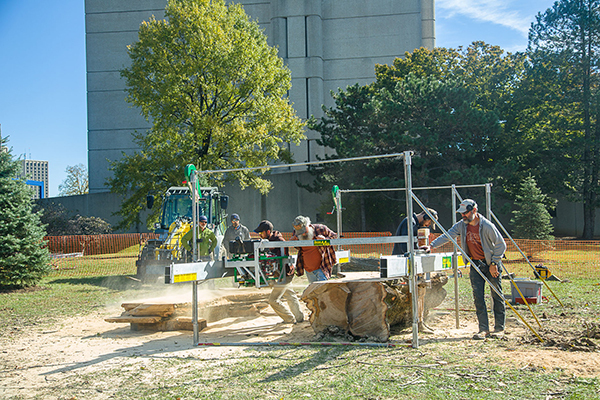 Instead, its wood will find its way into useful, beautiful objects created by and for UK students, faculty and staff. 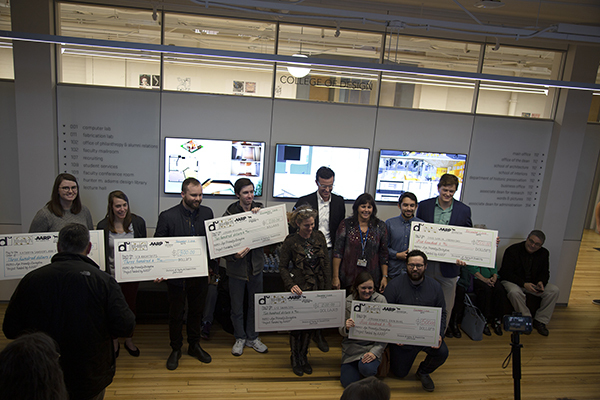 Two School of Interiors students were selected as the first and second place recipients of the Oswald Research and Creativity Award in the category of Design. 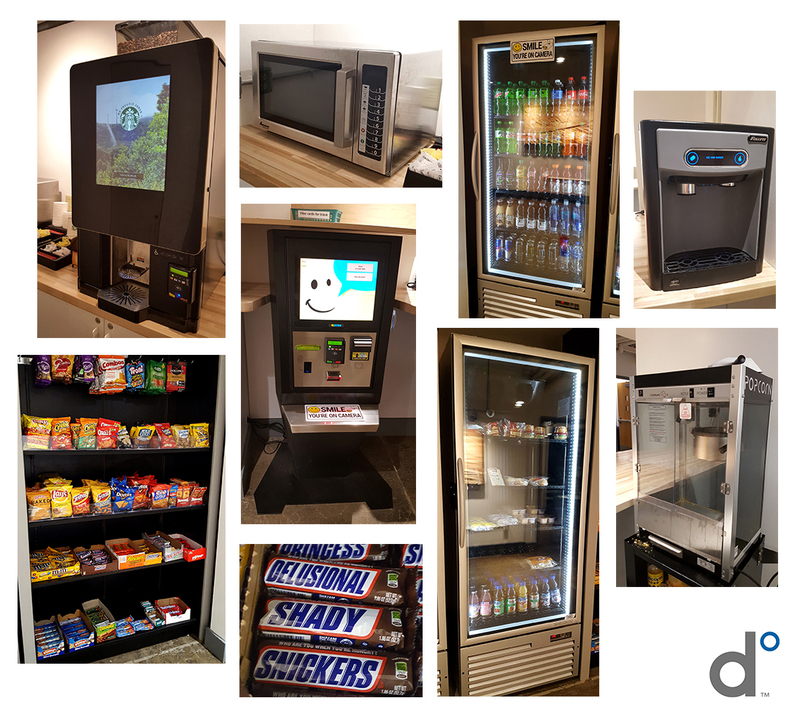 When you're hangry, the new Pence Cafe has everything you need. 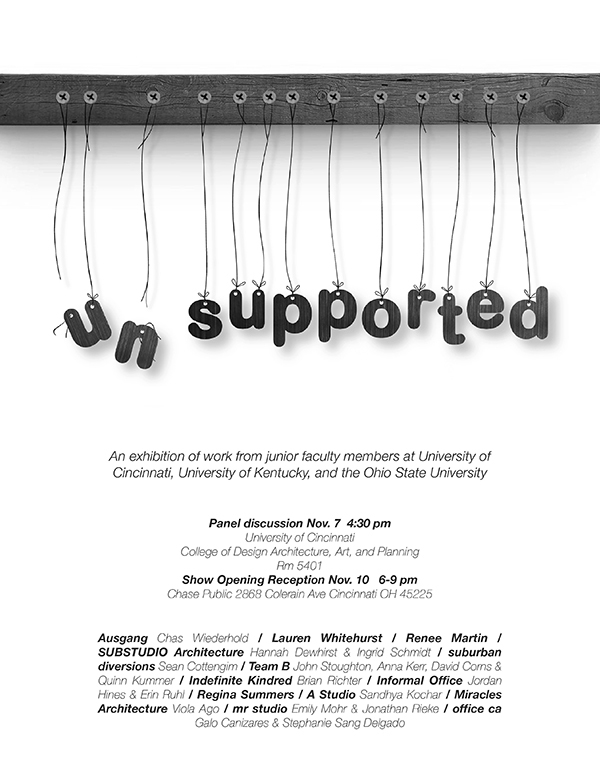 "Unsupported" is a showcase of work by regional faculty members that attempts to approximate an image of youthful Midwestern Architecture. 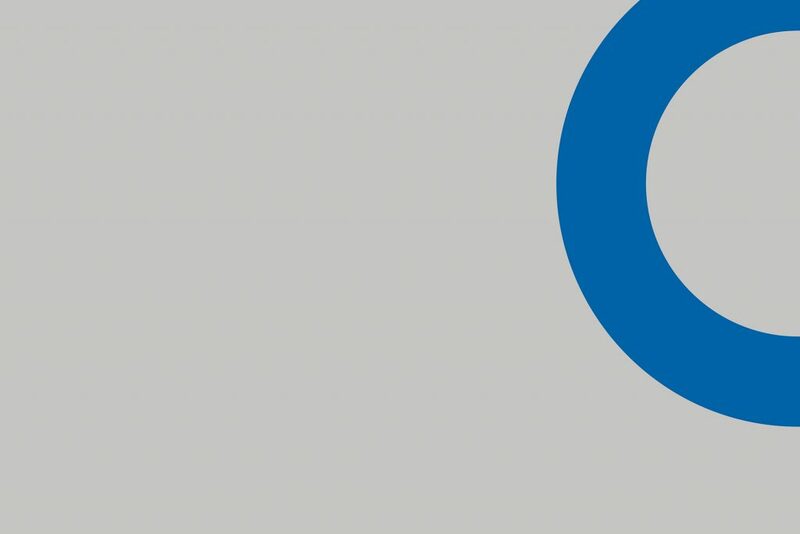 The College of Design is proud to host this year's IDEC Midwest Conference, Nov. 1-2 in Lexington, Kentucky. 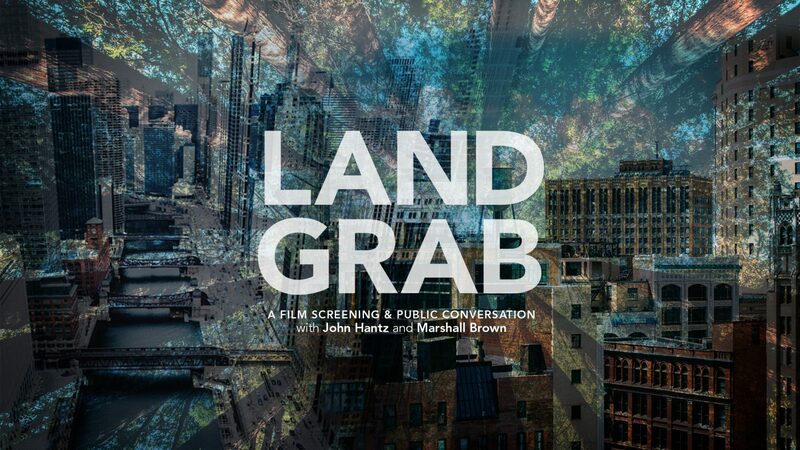 With standing room only, the film premiere of Land Grab at KMAC in Louisville on Sept. 7, 2018 was a resounding success, with UK President Eli Capilouto, Louisville Mayor Greg Fischer and dozens of College of Design students and guests in attendance. William Joiner of Antique River Logs will give a College of Design lecture on Wednesday, Oct. 17 @ 5 p.m. in the Pam Miller Downtown Arts Center. As a fifth-generation river-man, William’s heritage resonates in his passion. 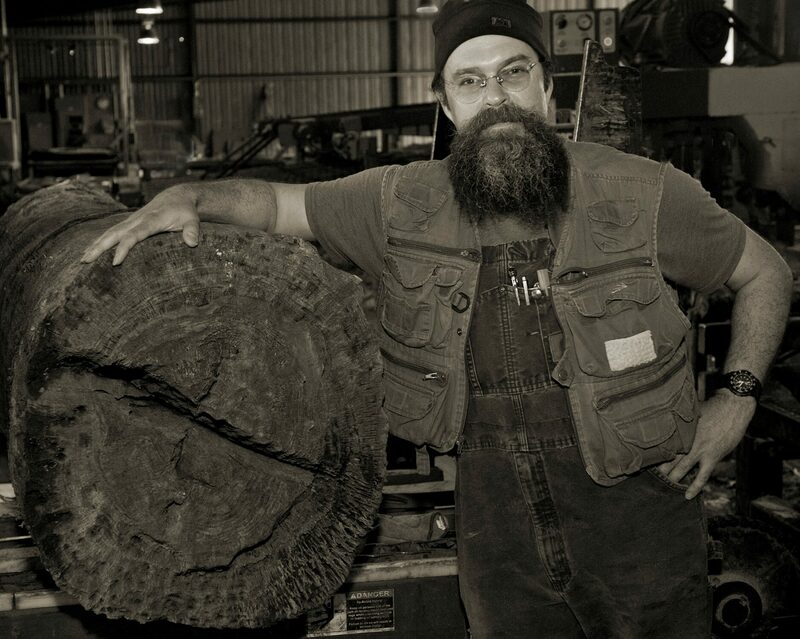 Through development of technique and technology, he is the only person in the state of Kentucky licensed to dive and reclaim “remarkable timbers, resting on river bottoms, preserved by deep, cold water, and a lack of oxygen and light,” from Old Growth Forests dating back to the logging industry. 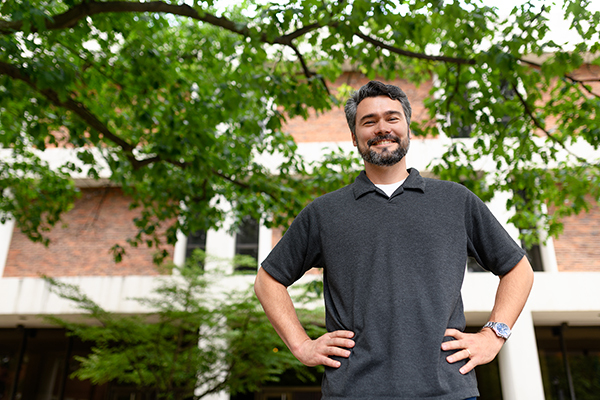 Assistant Professor Brent Sturlaugson was recently published in Places, the journal of public scholarship on the built environment. Julie Riesenweber, assistant professor in the Department of Historic Preservation, recently helped Pope Villa in Lexington achieve its place on the National Register of Historic Places as a nationally significant example of early national-era architecture. We invite you to attend the College of Design Faculty Exhibition in the Community Gallery at the Downtown Arts Center. 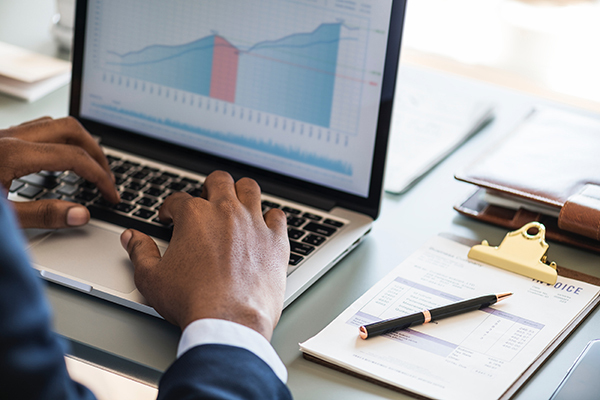 The changing needs of towns and cities increasingly demand solutions to problems that bridge public and private, policy and practice, and require multiple forms of expertise. 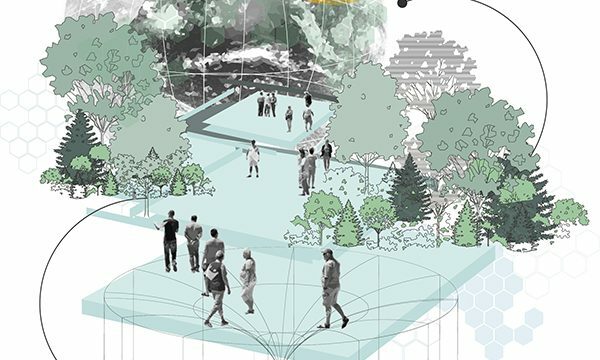 The new Master of Science in Urban and Environmental Design (MUED) at the College of Design will prepare students to work in settings where knowledge of design, municipal policy and community engagement can make a meaningful difference. 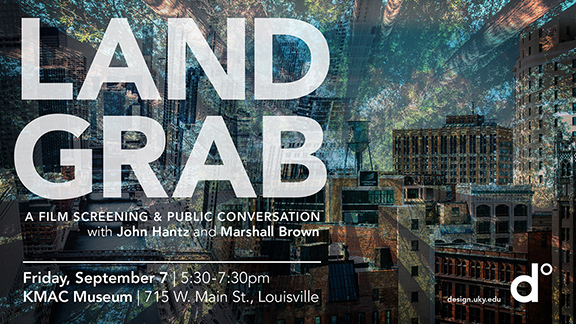 5:30-7:30 p.m. | Friday, Sept. 7 | KMAC Museum, Louisville Join the University of Kentucky College of Design for the Kentucky premier of the provocative new documentary Land Grab and a discussion with two leading urban thinkers. How do we reimagine the future of American cities in an era of unrelenting change? What strategies hold promise, and who should determine the fate of long-suffering neighborhoods? 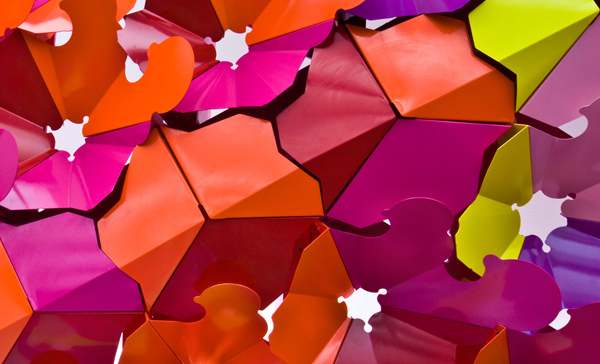 This fall, the College of Design is offering a bounty of electives in each of its programs. Assistant Dean for Finance and Administration is open at the College of Design. 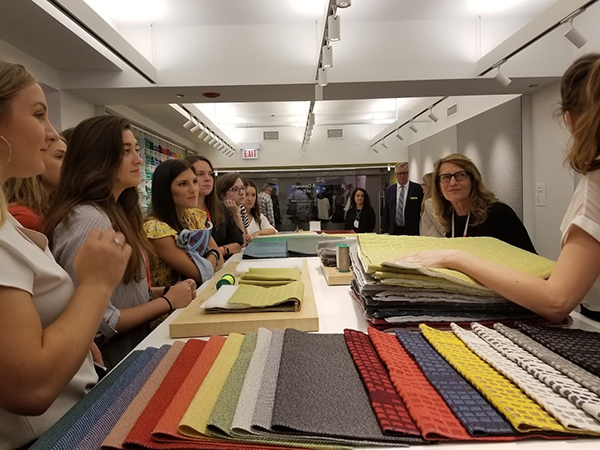 School of Interiors Lecturer Chris Birkentall traveled to Chicago with 12 students to attend NeoCon during its annual conference June 11-13, 2018. Students in the College of Design are participating in CEDIK's Downtown Revitalization Project in Manchester, Ky., this summer. Congratulations to Dr. Gregory Luhan, one of three recipients of the University of Kentucky 2018 Excellent Undergraduate Research Mentor Award. Congratulations to these School of Interiors 2018 award winners. Director of Student Services Azhar Swanson was recently elected to the University Senate Committee as the Admissions & Academic Standards representative. Friends and family came to the College of Design to celebrate student work at the 2018 End of Year Show. SOI Assistant Professor Rebekah Radtke is one of 20 community leaders from cities across the United States to have been selected to participate in the 2018 Emerging City Champions fellowship program. 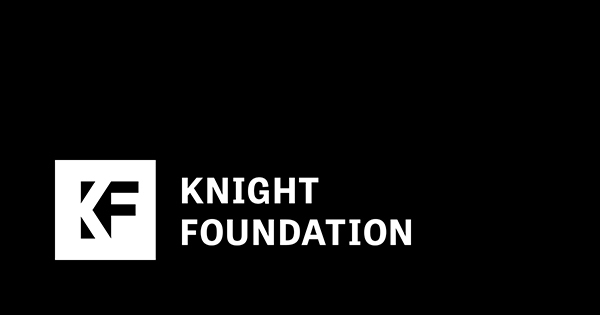 The program is sponsored by the Knight Foundation. School of Interiors students will present their work at the Undergraduate Research showcase Wednesday, April 25 from 1-6 p.m.
Congratulations to third-year SOI student Caroline Miracle and Associate Professor Lindsey Fay on their University of Kentucky Undergraduate Summer Research and Creativity Fellowship for summer of 2018. Join us for the College of Design's End of Year Show at 5 p.m. on Friday, May 4. Historic Preservation Lecturer Travis Rose conducted a design-focused workshop for Lexington-area middle and high school students over their spring break. The College of Design’s Rachel Crosslin visited New Orleans to work on a project in the Upper 9th Ward over Spring Break 2018. Professor Mark O'Bryan, AIA, NCARB, presents at the Western Social Science Association's Annual Conference. Congratulations to Assistant Professor Lindsey Fay and Professor Allison Carll-White on their recently published research. 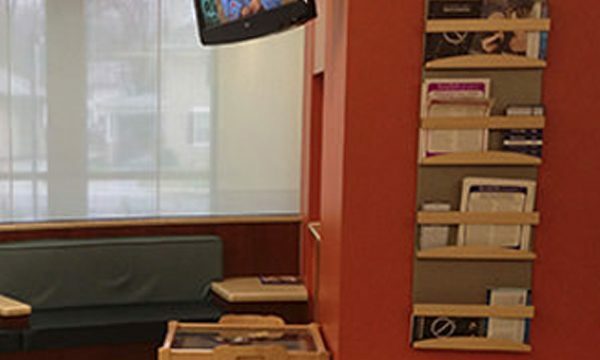 Dean Mitzi Vernon will speak Thursday, March 29, at the IDSA Medical Design Conference in Boston. Students from Professor Bruce Swetnam's architecture studio recently returned from another trip to Haiti where they continued work at Chez Moi Orphanage. Watch Associate Dean for Students Bruce Swetnam with his architecture studio students, and you'll see why he was honored with one of UK's 2018 Great Teacher Awards. Erin Sterling Lewis, AIA, is a recipient of a 2018 Young Architects Award. Lewis is a 2002 graduate of the School of Architecture. 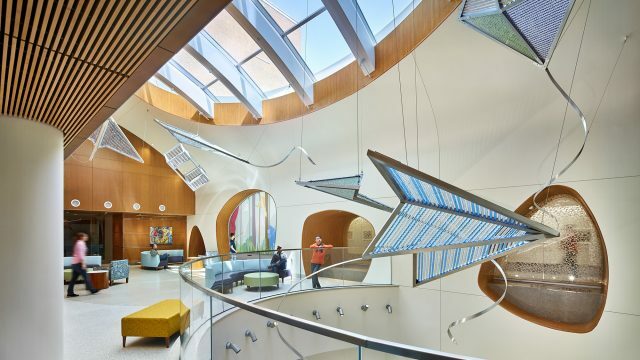 At the recent 2018 Annual Interior Design Educators Council (IDEC) Conference in Boston, faculty members from the School of Interiors were honored with multiple awards. This March, Montre’ale Jones was one of only 12 undergraduate students to be awarded a prestigious Gaines Fellowship. 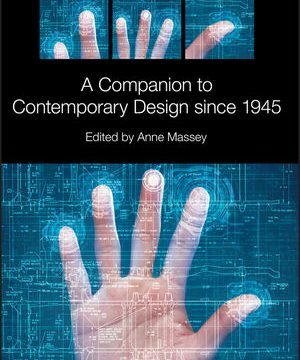 Dr. Gregory Marinic, Director of Graduate Studies in the School of Interiors and Associate Professor in the College of Design, was recently published in Interiors Beyond Architecture (Routledge, 2018). 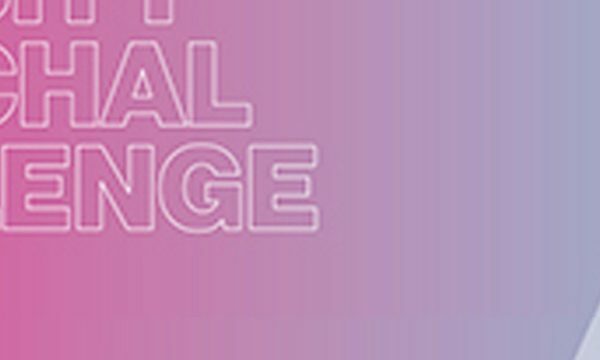 Make plans to attend Inclusion by Design: Navigating Identity in the Field, the first in a series on inclusivity and diversity for students, faculty, staff and alumni of the College of Design. 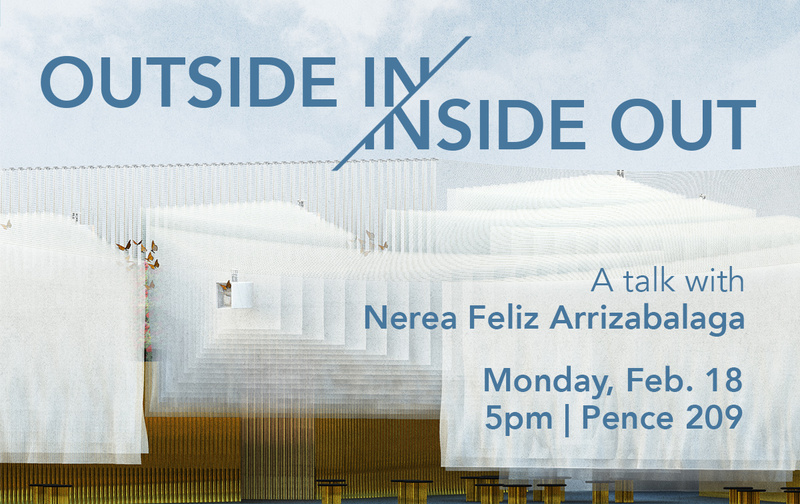 Monday, Feb. 26 at 5 p.m. The School of Architecture at the UK College of Design will present The Making of an Avant-Garde: The Institute for Architecture and Urban Studies 1967-1984. 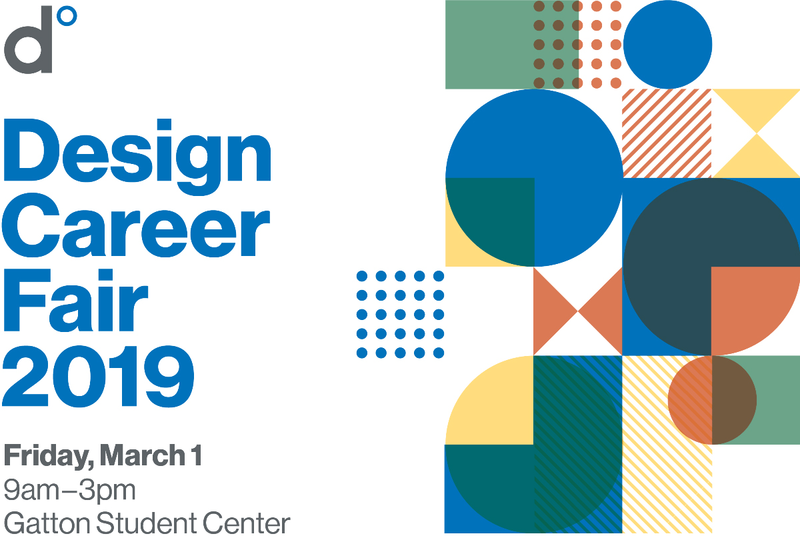 The UK College of Design will host its inaugural Design Job Fair on Wednesday, April 4 from 11 a.m. - 3 p.m. in Pence Hall. Congratulations to SOA Associate Professor Mike McKay for being chosen as one of the finalists for the 12th edition of the Arte Laguna Prize. 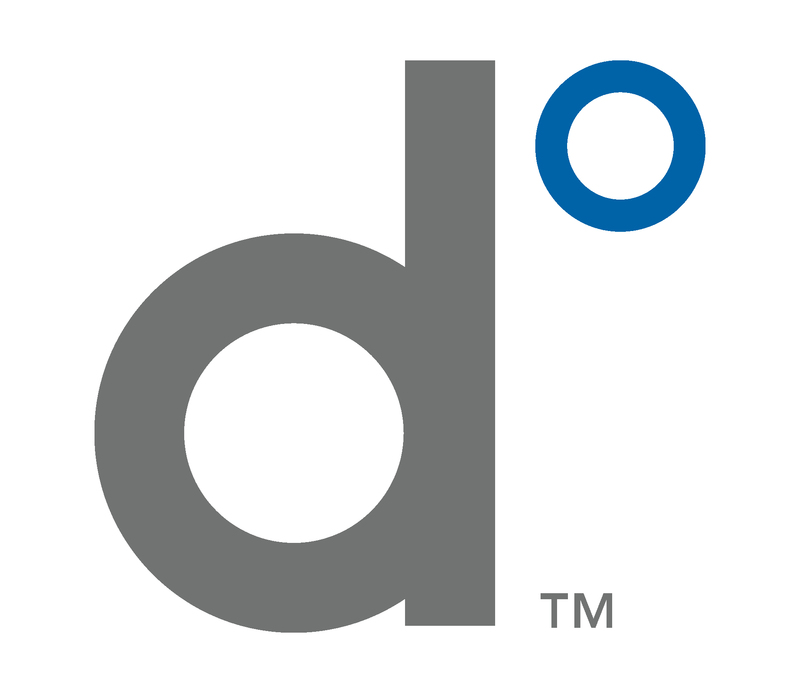 The College of Design will be accepting applications soon for its Ambassador Program. 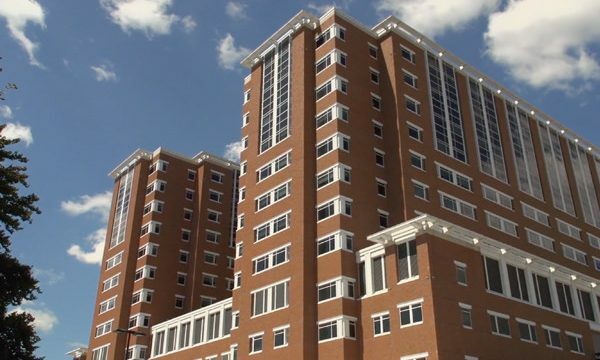 Congratulations to two SOA students who were selected to serve as officers of the University of Kentucky Habitat for Humanity Campus Chapter. The application for undergraduate scholarships is now open. 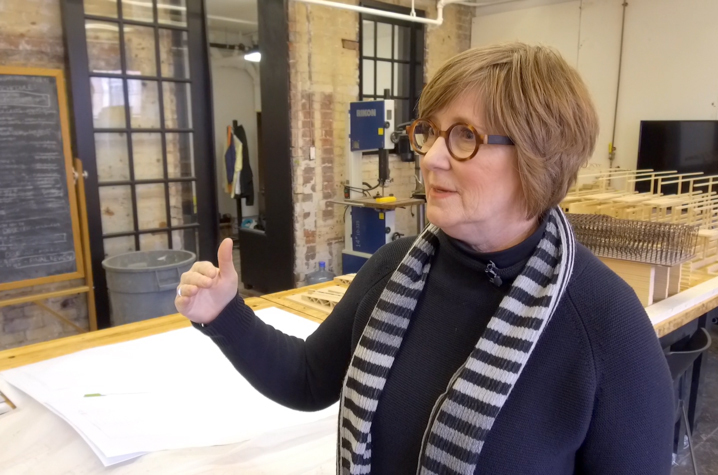 Claire Cahan of Studio Gang talks about working with Studio Louisville students. A recap of Studio Louisville's Fall 2017 semester. Working in teams of two, 2nd-year SOI students in Professor Christine Mobley's class worked with a developer and the North Limestone CDC to redesign one level of a former hemp factory on Limestone. 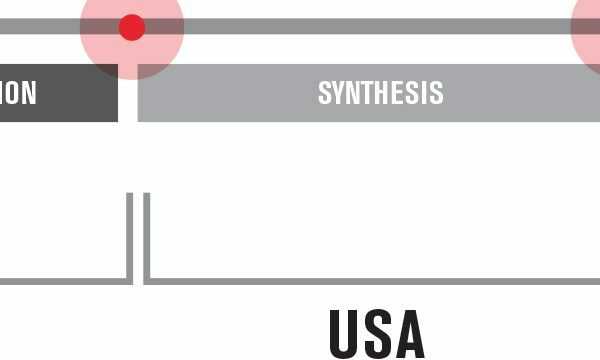 Here is one team's take on the project. SOA Director Jeffrey Johnson will participate in the panel discussion "Capital, Culture and Countryside" at the 2017 Bi-City Biennale of Urbanism + Architecture (UABB) in Shenzhen, China on Dec. 16. Johnson is a past director and curator of the UABB and currently serves on its academic committee. 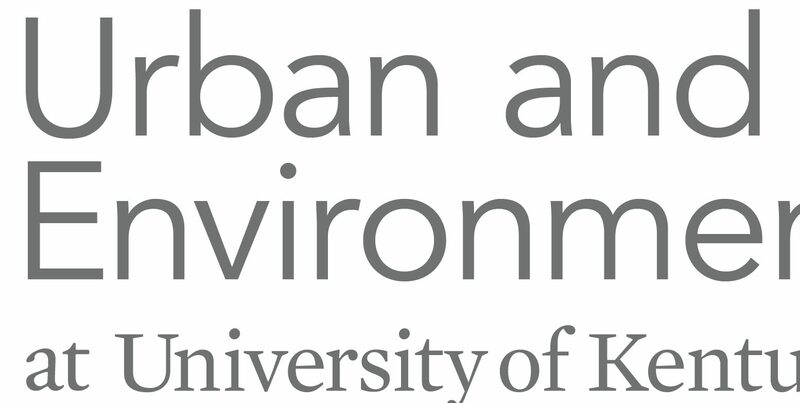 Congratulations to the following CoD faculty, recipients of 2018 Sustainability Grants. Julie Riesenweber, Daniel Vivian, Doug Appler and Robert Travis Rose from Historic Preservation; Chris Birkentall, Interiors; Brent Sturlaugson, Architecture; Greg Luhan, Architecture; and Helen Turner, Interiors. SOA Professors Take to the Air! Inspired by the bourbon stills of Louisville’s famed spirit, The Intertwining – a sculpture by School of Architecture professors Mike McKay and Liz Swanson – will find permanent residence at the Louisville International Airport in summer 2018. Confederate statues and monuments have made local and national headlines as the country decides how to respond to the memorialization of confederate soldiers. For 13 years now, students from the Department of Historic Preservation have attended the annual dry stone masonry workshop at Pine Mountain Settlement School in Eastern Kentucky. A call to help build a Haitian orphanage in Professor Bruce Swetnam’s Spring 2017 studio has evolved into a project driven by a passion for humanitarian architecture. 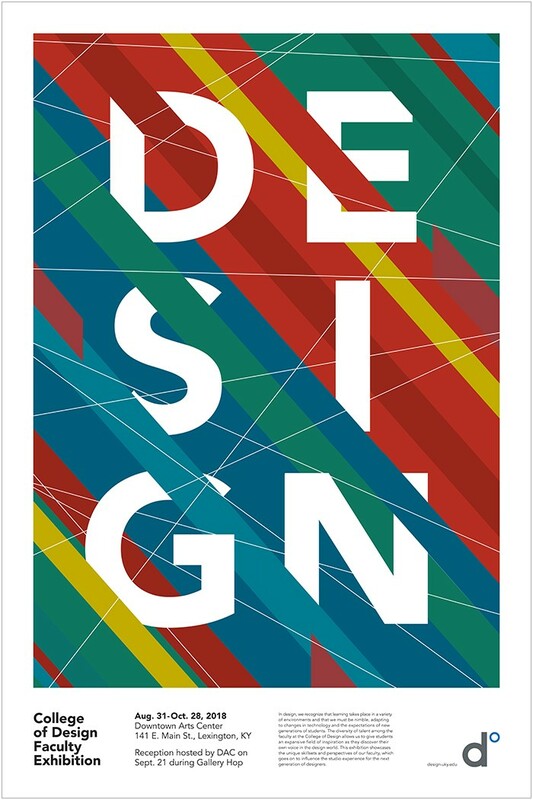 The UK College of Design will hold its Graduate Open House on Friday, Nov. 17. Congratulations go out to School of Architecture Professor Wallis Miller, who won the 2017 Journal Article Award from the Southeast Chapter of the Society of Architectural Historians. 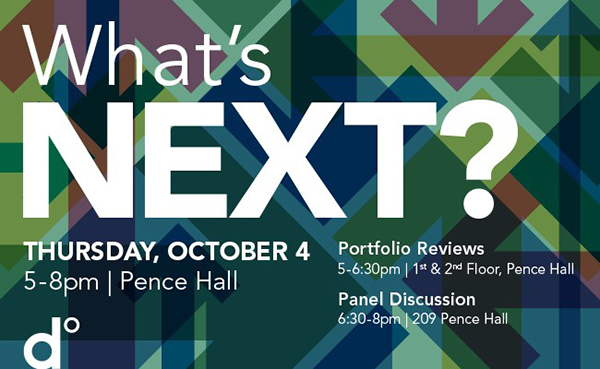 The UK College of Design will hold its Graduate Open House on Friday, Nov. 10. 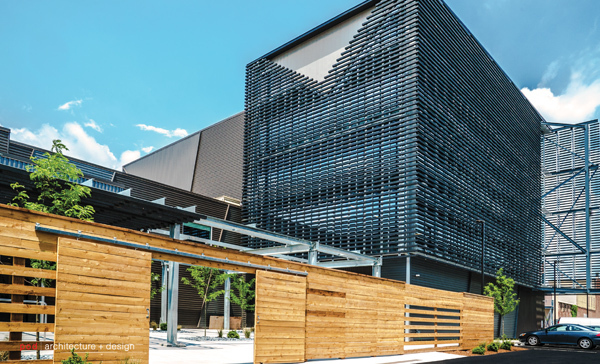 Kenneth Hobgood (1977 SOA alum) and his son Patrick Hobgood (2005 SOA alum), along with Alan Tin (2004 SOA alum), are featured in this story from Archinect about their family-run architecture firm in Raleigh, N.C. The School of Architecture at the College of Design is pleased to present The Making of an Avant-Garde: The Institute for Architecture and Urban Studies 1967-1984. Professor Greg Luhan will present Re-Envisioning Juvenile Justice Educational Environments: Inspire. Integrate. 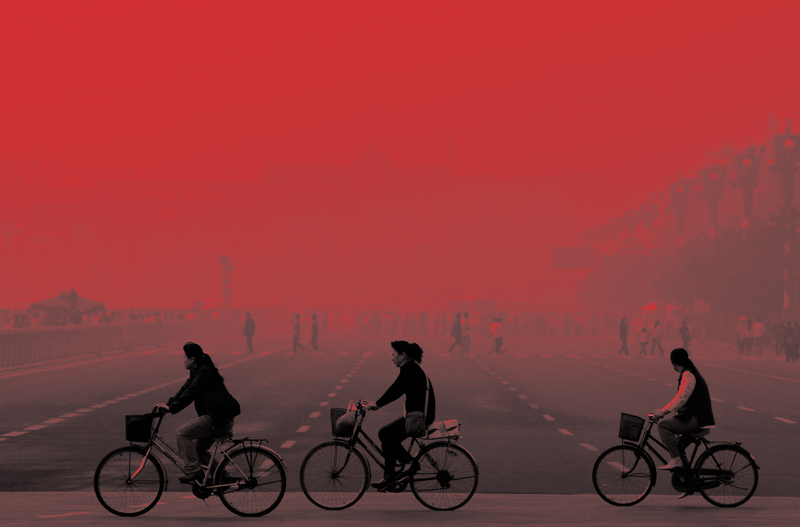 Innovate at the AIA Academy of Architecture for Justice conference Oct. 29-31. 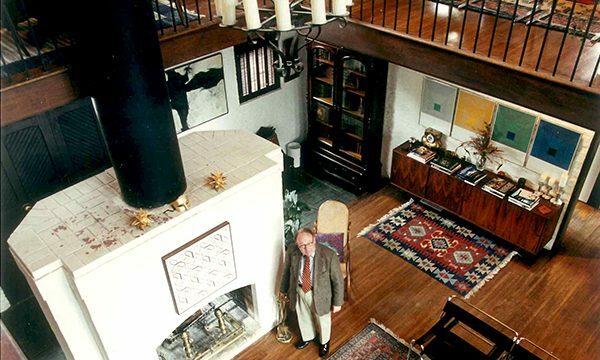 Patrick Lee Lucas, Director of the School of Interiors, now a BALA Fellow. 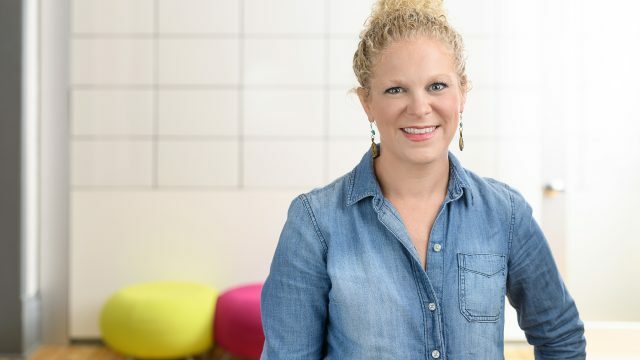 To think forward about product design education situated in the 21st century and specifically in Kentucky and at UK, Dean Mitzi Vernon held a Product Design Roundtable in September. The new academic year brings with it many new faces to the College of Design. Lindsey Fay Published in The Journal of Learning Spaces. Congratulations to Lindsey Fay, assistant professor in the School of Interiors, for her recently published article. 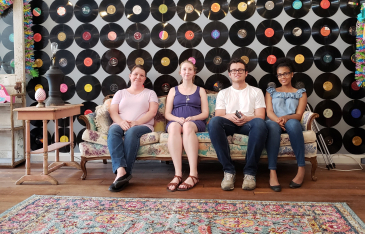 Students at the University of Kentucky are currently wrapping up some of the first research collected on a mid-century neighborhood as part of the nation's first hybrid field school in historic preservation. 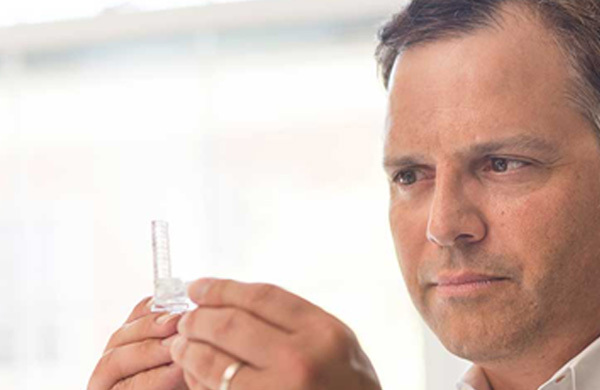 The University of Kentucky Board of Trustees today approved 16 University Research Professorships for the 2017-18 year. 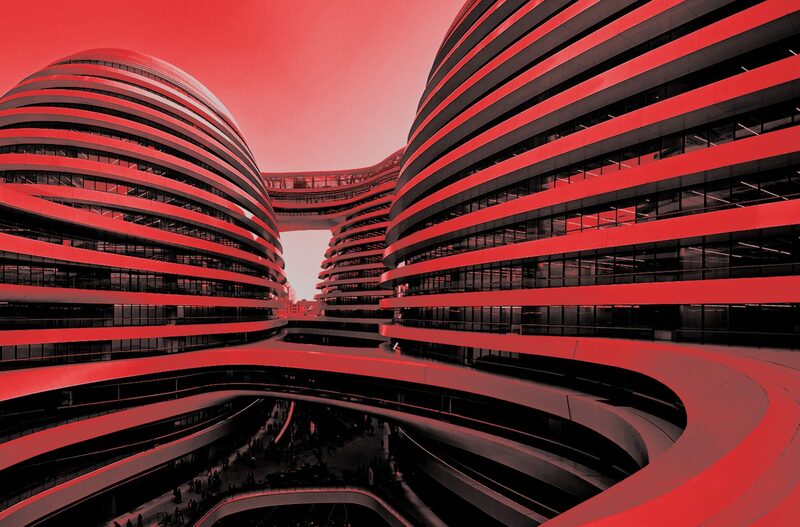 MAD Architects Travel Fellowship open to all international students. 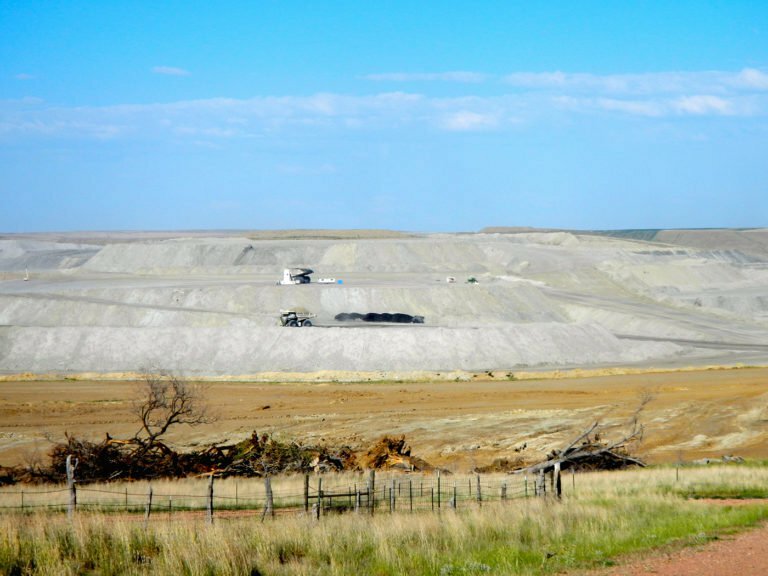 Lindsey Fay and Allison Carll-White were recently published in HERD: Health Environments Research & Design Journal. Additional partial tuition and housing fellowships available for the 2017 Kentucky Field School. 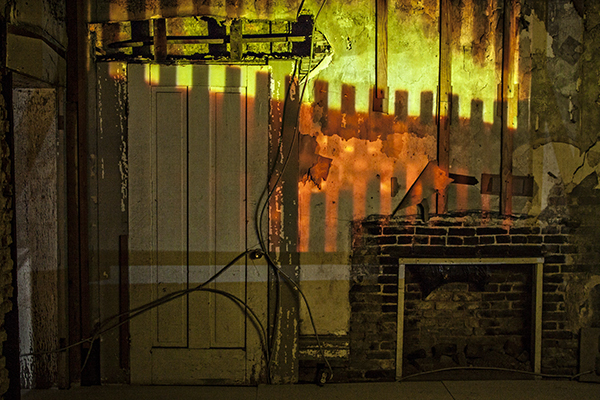 The new Kentucky Field School – a part of the Department of Historic Preservation in the College of Design – was recently awarded the Orlando Ridout V Fieldwork Fellowship. 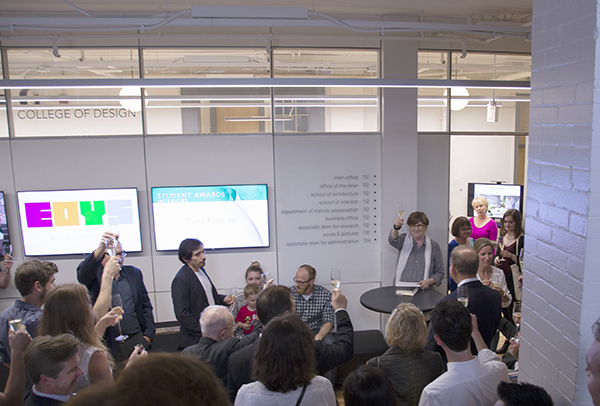 The School of Interiors in the College of Design was recently honored with the IDEC Teaching Excellence Award. 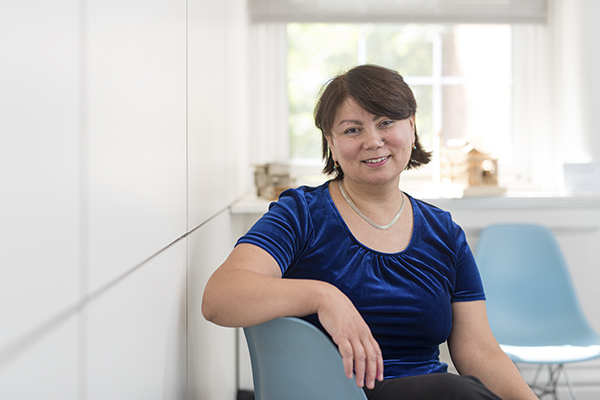 Liz Swanson, associate professor in the School of Architecture, has had her work “The Space Between” accepted to the Architecture, Culture and Spirituality Forum. 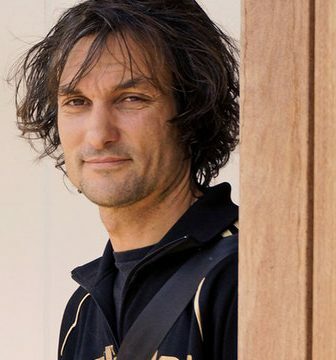 Congratulations to Mark O’Bryan, associate professor in the School of Architecture, on his recent Award of Excellence. The College of Design has been awarded 7 Addy Awards by the American Advertising Federation (AAF). The Gold Awards will now compete at the regional competition. 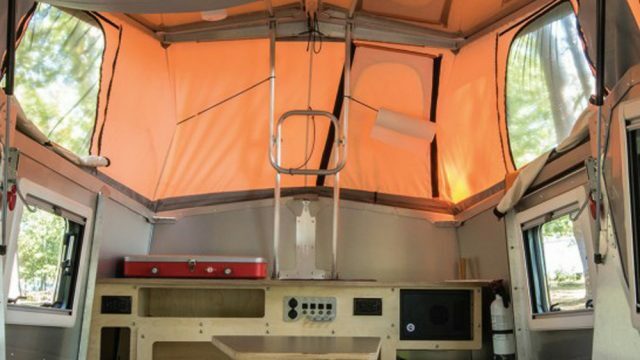 The University of Kentucky College of Design, Department of Historic Preservation is proud to offer the country’s first hybrid field school – HP 676 Field Methods in Heritage Conservation. 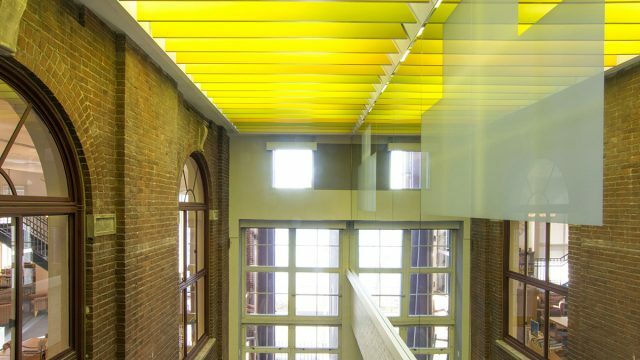 The School of Interiors at the University of Kentucky’s College of Design seeks applicants for a full-time lecturer position with expertise in one or more of the following categories: Digital Media, Design Fabrication, Interior Design Professional Practice, Interior Construction, and Interior Building Systems. Interiors graduate student Marissa Wilson and finance and accounting December graduate Omer Tariq won the University of Kentucky Venture Challenge. The College of Design invites applications for a Post Graduate Fellowship in Graphic Design. 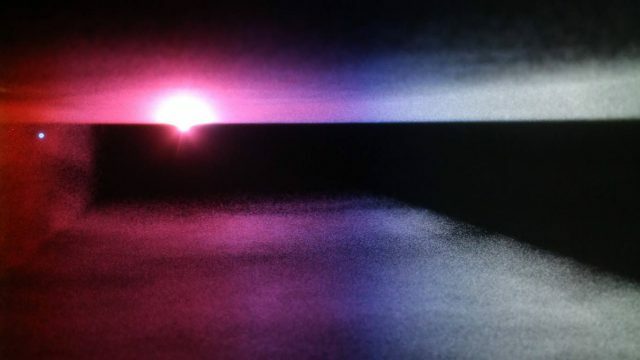 The College of Design at the University of Kentucky is honored to announce the acceptance of work from several faculty and alumni into the latest exhibition, Expanding Fields, at the Lexington Art League. 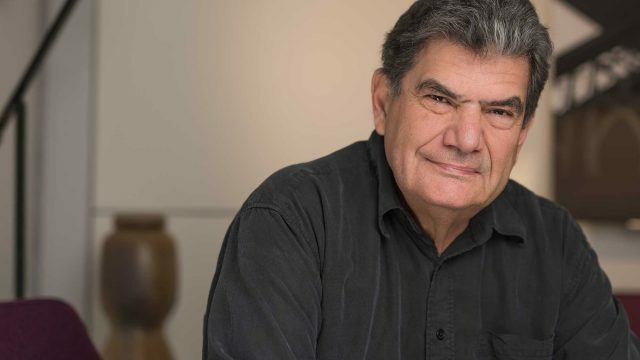 The 2017 Jury of Fellows of the American Institute of Architects (AIA) elevated Michael W. Jacobs. 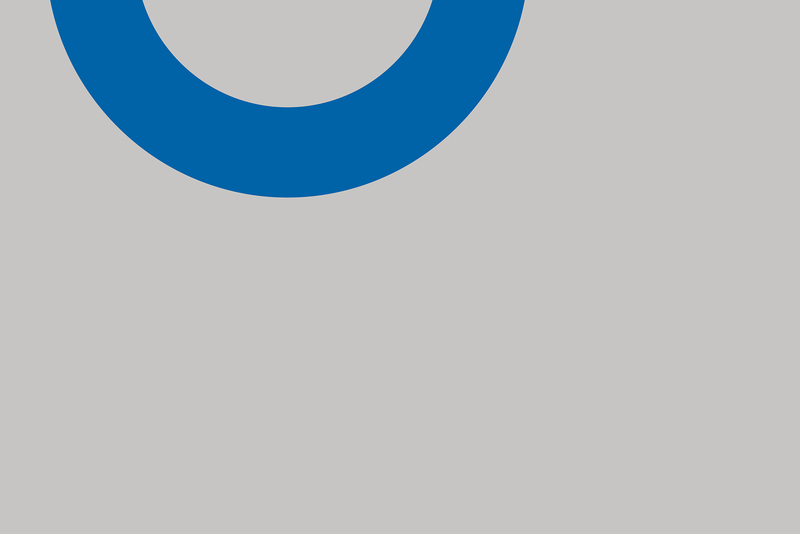 The UK College of Design seeks applicants for a Student Affairs Officer I to assist the Office of Academic and Student Services. 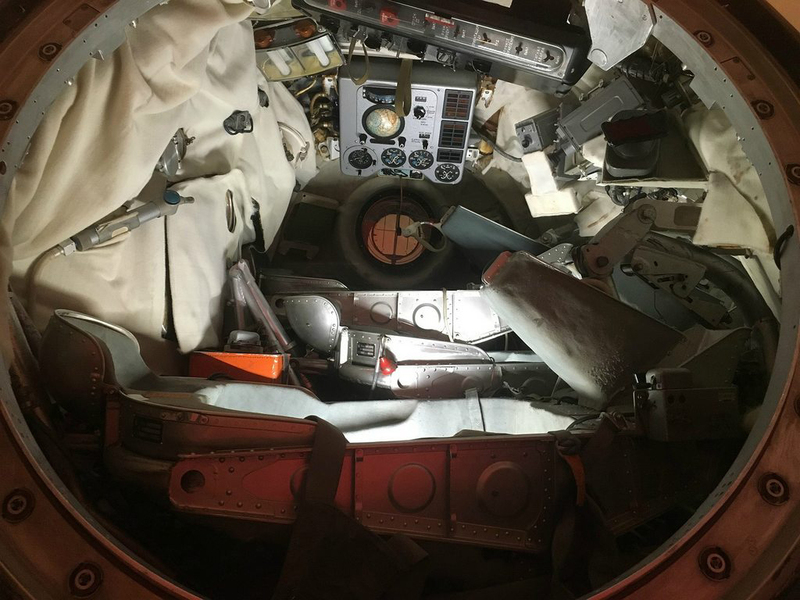 A new exhibit at the University of Kentucky Art Museum tests spacial dimensions and structure, and installing it was sometimes as complicated as it sounds. UK architecture professor Mike McKay created the art piece, “Singularities,” that pushes the limits of what structure can do. 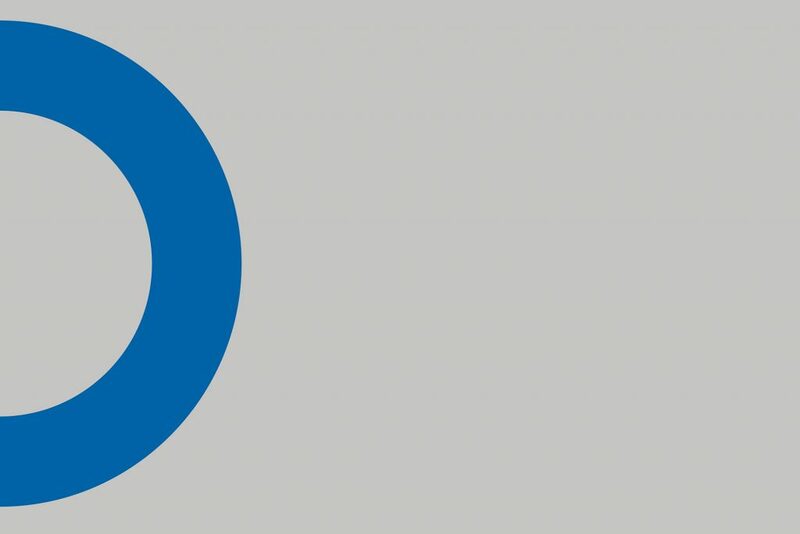 The School of Architecture at the University of Kentucky College of Design invites applicants to apply for a new faculty position, important in taking the next step toward integrating design technology within the disciplines. 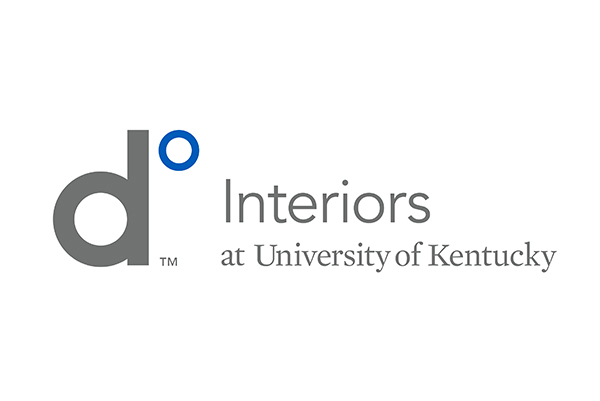 The School of Interiors at the University of Kentucky College of Design seeks a dynamic tenured associate or full professor to transform its graduate program offerings. 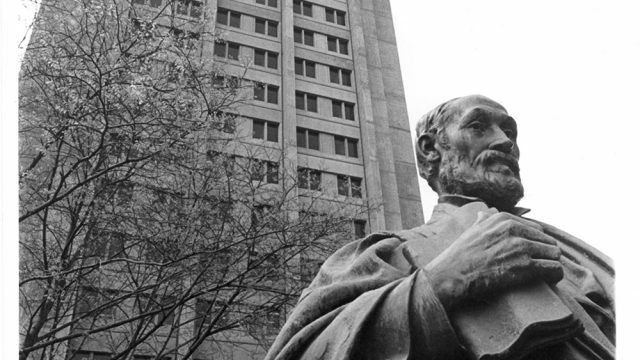 Professor Wallis Miller publishes article on Architectural Histories. 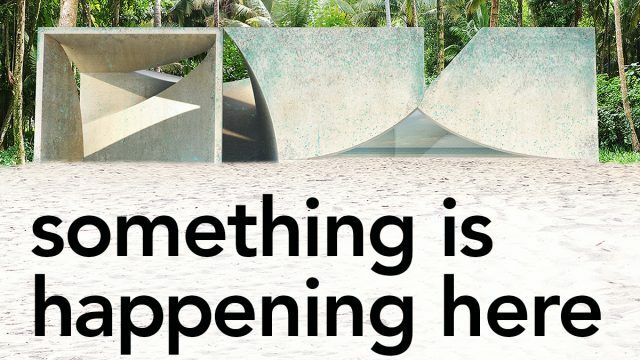 A structure based on the work of UK's own interiors and landscape architecture students is coming to Lexington's Southland Drive. FORM: Line-Plane-Solid is a studio course, an exhibition and an area of scholarship for Dean Vernon. 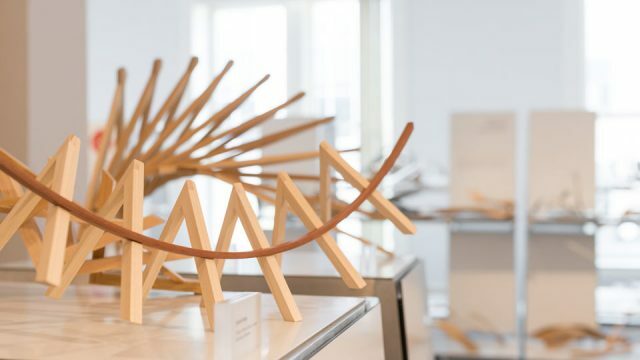 Using design instead of words, FORM: Line-Plane-Solid explains the concept of form through the act of physical fabrication. 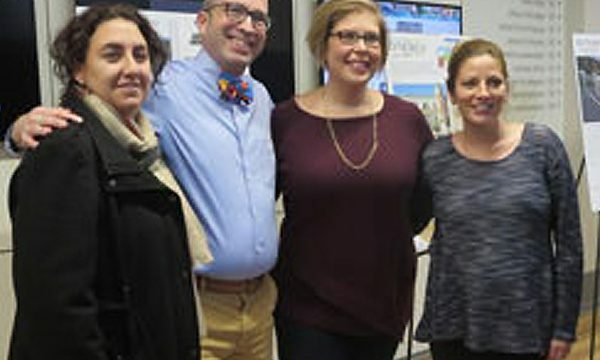 Researchers and staff at the University of Kentucky have teamed up with University of Kentucky Medical Center in Lexington, Ky.
College of Design faculty Lindsey Fay and Allison Carll-White and their students are getting to the heart of health care design. The year 2016 has been one of global discourse and divide on the issue of diverse voices. The University of Kentucky is responding with a new investment in creating an inclusive campus. 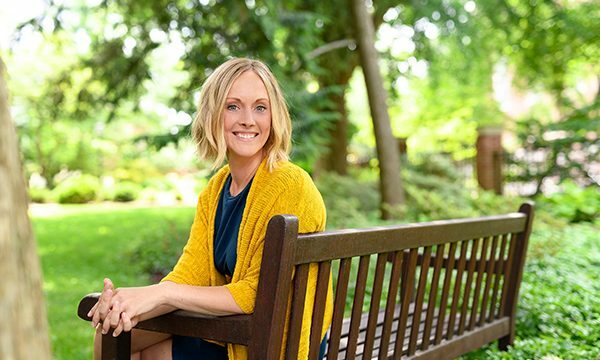 Rebekah Radtke, assistant professor of interiors, was recently published in Public, a Journal of Imagining America, for her work on community engagement through international experiences. 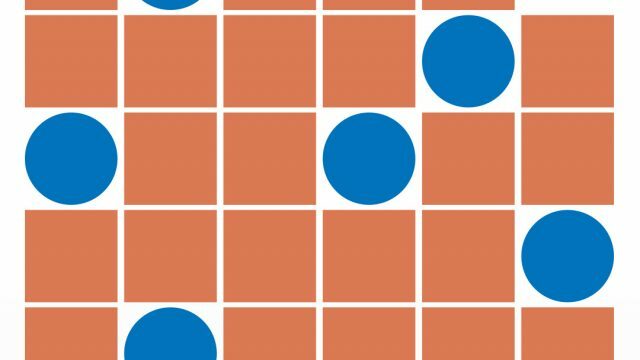 Public is a peer-reviewed, multimedia e-journal focused on humanities, arts and design in public life. Congratulations to Rebekah! 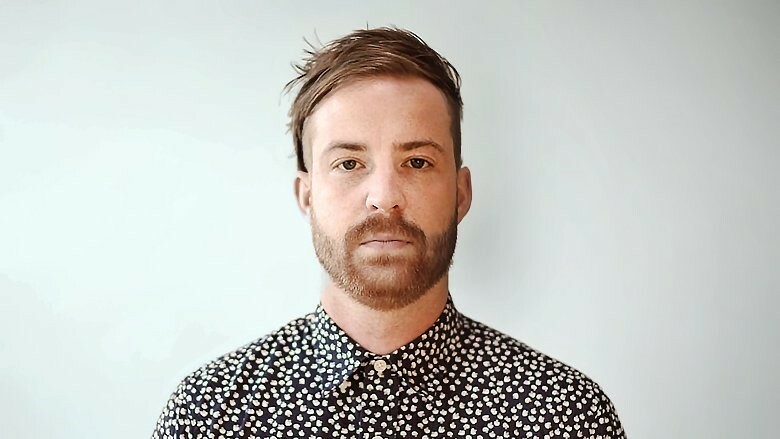 The University of Kentucky College of Design announces the appointment of Jeffrey Johnson, the new Director of the School of Architecture. 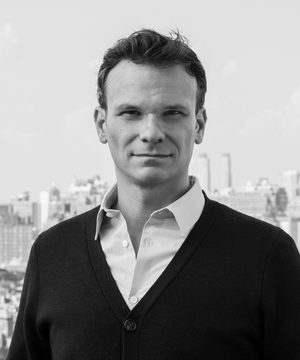 Johnson joins the faculty from the Graduate School of Architecture, Planning and Preservation at Columbia University where he was the founding director of the Asia Megacities Lab.